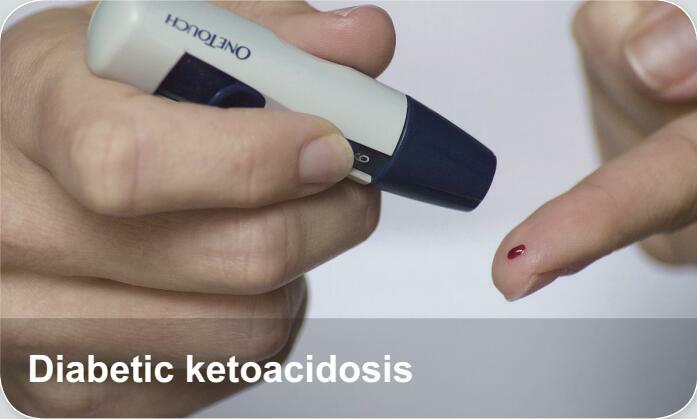 Diabetic ketoacidosis (DKA) is a potentially life-threatening complication in people with diabetes mellitus. It happens predominantly in those with type 1 diabetes, but it can occur in those with type 2 diabetes under certain circumstances. DKA results from a shortage of insulin; in response the body switches to burning fatty acids and producing acidic ketone bodies that cause most of the symptoms and complications.